This books digs back into church history and asks a very simple question; where did the practices of the modern day church come from. If you want to read this book, prepare yourself to never look at the church the same way again. I was amazed at all the research that went into this book. I have read many books written by the emerging church leaders, but none of them is so well researched. 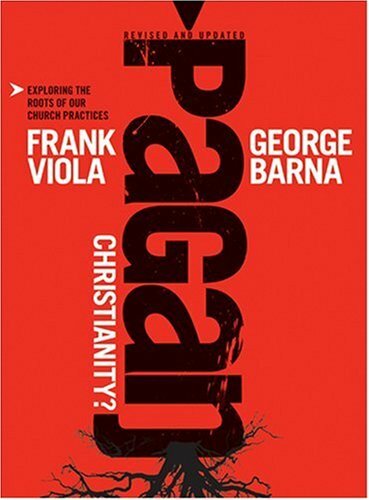 Even if you think that the emerging church is a bad thing, this might be a good read for understanding where people in the movement are coming from, from an academic stand point. As I said before, I loved the extensive research put into this book. It is amazing to find out how some things got started, practices that are not found in the New Testament. This is the best history currently available of where church practices came from. Also, for me, it was a faith building book. Sometimes I need to be reminded that my faith is in the Living God, not in rituals of the church. Sometimes I need to rethink why I am doing what I am doing and make sure it is in line with what God wants. This book made me think. This book was a little dry and hard to get through. I also think the author fails to see that, for some people, the institutional church can be a blessing. Although my ideas of church are more closely aligned with the emerging church, I have seen too many people who have been blessed by the institutional church to completely say it is wrong. I recommend this book for anyone who is searching for answers and has an open mind. Book are written by fallible people, and no books should be taken as gospel truth. I will have to check that out! Thank you so much for stopping by.